The BioMagPure 12 consists of compact bench-top robotic workstations for automated nucleic acid purification. 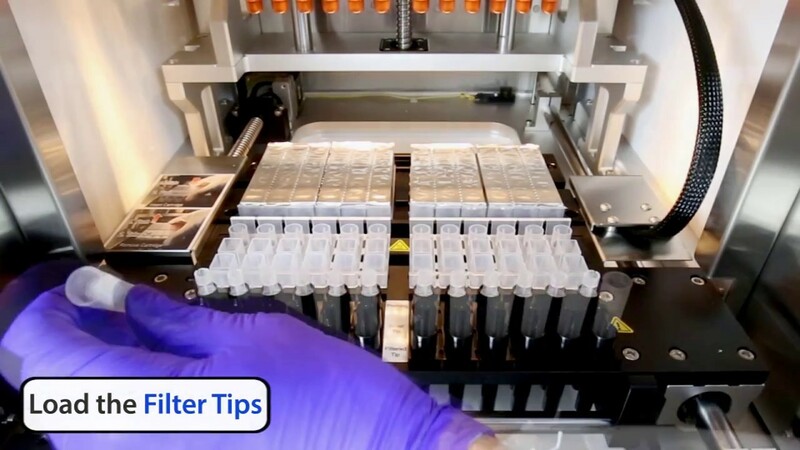 Usage of pre-filled reagent cartridges and disposable consumables enable a true walk-away automation and high quality nucleic acid extraction solution. Proven magnetic separation technology makes purification efficient, easy to use, reliable, safe and cost effective. BioMagPure 12 has an ingeniously designed polygonal reaction chamber with patented parts that ensure high efficiencies of lysis and elution through large contact area of magnet and heating element allowing to maximize magnetic bead recovery, minimize the residues of magnetic beads and alcohols in the final elute product. Specific formation of reaction chamber ensures unrivaled mixing ability and exclude conventional mixing by tip or pipetting thus eliminates crosscontamination possibility. Reagent kits contains everything for extraction procedure performance including all necessary plastics, pre-filled reagent cartridges, incubation buffers and solutions for sample pre-treatment (if needed). With the flexibility of processing 1-12 samples per run, the BioMagPure 12 is tailor-made to fit small clinics and early stage laboratories. By occupying minimal counter space and greatly reducing technician man-hours, this series allows organizations to operate facilities in a much more cost effective fashion.